In the lead up to the 50th Anniversary of the Selma to Montgomery March, Matter was chosen to tell the story of the movement along the route in Montgomery, Alabama. Working with various stakeholders including the City of Montgomery, the National Parks Service, the local HBCU Schools, and numerous local residents, Matter researched and created an informative package that included informational historic lesson signs, way finding signage, mural designs, and street artwork at the foot of the state capitol. 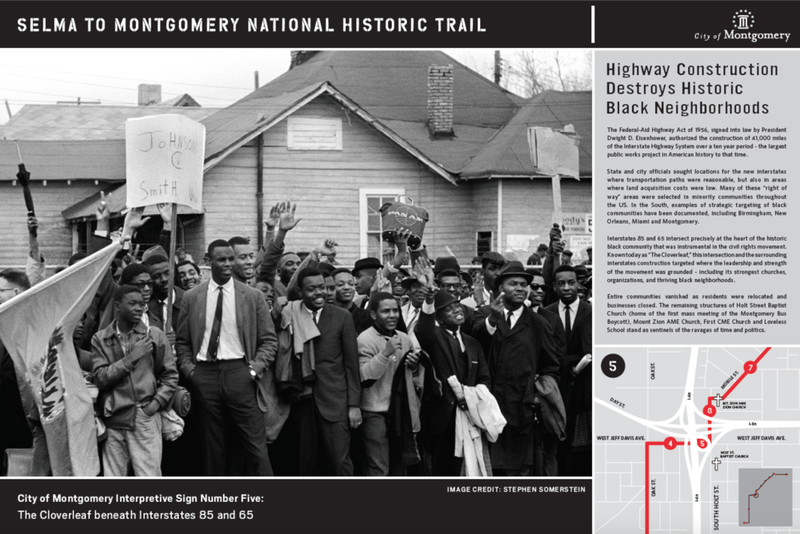 The project city helps tell the story of the fearless Civil Rights marchers as they forever changed the United States, spreading their impact to visitors and tourists on an international scale.